Christmas is the birthday of ‘Jesus Christ’. It is celebrated on 25th of December all over the world.It is the most important festival of the Christian community. There are many things related to Christmas like the Christmas star, tree, crib, cake, Christmas gifts and the Christmas Father. 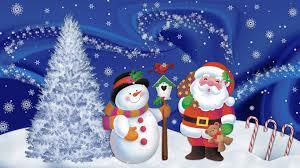 Christmas father is considered to be a most important person who is accompanied by many children. He is an important figure who is believed to bring Christmas gifts to the children. He is called as Santa Claus or Santa in short. During Christmas celebrations in kerala, usually someone gets dressed as Santa and participate in the celebrations. The appearance of Santa is that of an old man with a fat belly and is dressed in red clothes with white border. He carries a stick decorated with balloons and a huge sack which are filled with gifts for children. The Christmas tree is a comparatively new addition to Christmas celebrations in Kerala. The twinkling Christmas star placed at Christian homes or shops initiates a season full of cheerfulness and joy.Each and every house will be decorated with a Christmas star. An important symbol for Christmas is the Christmas tree. There will be a well decorated Christmas tree in the houses during Christmas.The tree is fresh and is green in color which is usually decorated with various colored bulbs and lightings. Together with these, several objects like toys, small balls, cards, figures of angels, Christmas father, Christmas star etc are hung in this tree. The crib, a miniature production of the stable where Jesus was born, is also the part of the Christmas festivities in Kerala. People create a crib using hay and wood. Figures of infant Jesus, Mother Mary, Joseph, angels, sheep, shepherds and three kings are arranged in the crib. In cathedrals and churches of Kerala, the birth of Jesus is exhibited through miniature models. The hymn ‘Gloria in Exelcis Deo’ is chanted amidst the explosion of crackers. Christmas carols and songs developed from nativity plays are also sung. Priests hold the Holy Mass in the churches at the midnight. On the day of Christmas a grand feast is prepared and the main dish is the meat. Another main item is the Christmas cake and people cut the cake and have them. Thus, Christmas is celebrated well in all its glory and cultural forms.